Oxford’s Truck Festival has revealed its 2019 line-up, today (February 4). 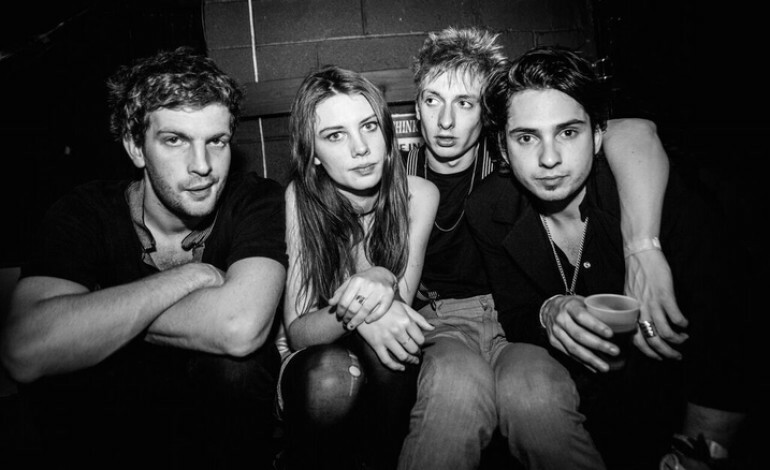 The first wave of artists that will be performing at the festival have been announced, and it sees Wolf Alice, FOALS, Two Door Cinema Club, and Slaves headlining the event. The Oxford festival will take place, on Hill Farm, in Oxfordshire, between the 26th and 28th of July 2019. 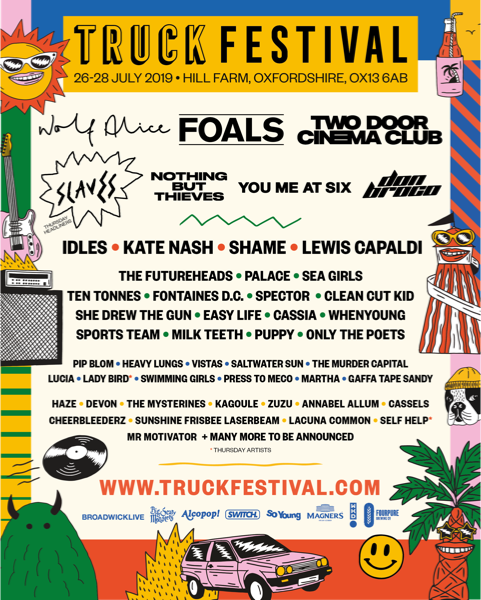 Oxfordshire’s Truck Festival has revealed that, Mercury Prize award-winners, Wolf Alice, Foals, Two Door Cinema Club, and Slaves will be playing at this years festival. It will be the Foals’ first homecoming show in over five years, and marks 12 years since the Oxford band’s triumphant set at the festival’s Barn Stage. Among the other names announced today, and joining the headline acts, will be Nothing But Thieves, You Me At Six, Don Droco, IDLES, Kate Nash, Shame, and Lewis Capaldi. Meanwhile, elsewhere there will also be performances, at the Truck festival, from the likes of The Futureheads, Palace, Sea Girls, Ten Tonnes, Fontaines D.C, Spector, Clean Cut Kid, She Drew The Gun, Easy Life Cassia, WhenYoung, Sports team, Milk teeth, Puppy, and Only The Poets. The full line-up can be seen below. Ahead of today’s (February 4) official stellar line-up announcement, comes after the festival had teased supporters over the weekend with, potatoes. Truck had written a variety of artist names on potatoes and then posted them to fans and ticket-buyers, of the festival. The festival also posted crossword-style riddles on postcards accompanying the potatoes, giving hints about the artists. Recipients posted their discoveries using the hashtag #truckpotato. The likes of Foals, Wolf Alice, You Me At Six, Nothing But Thieves and Slaves were some of the acts written across the potatoes. Tickets prices start at £105 (plus booking fee) for weekend passes, with an extra £25 add-on required for Thursday access. Tickets are on sale now and can be purchased here.